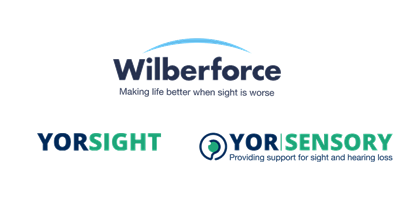 The Wilberforce Trust are committed to supporting people with sight loss and hearing loss, we do this through our supported living accommodation, low vision clinic, visual awareness training, sensory awareness sessions and activities within the living and learning zone. Our vision is to see a world in which all people with sight loss, including those with other disabilities, are truly integrated in society with equal opportunities in all aspects of life, and to know that our passion and commitment have been influential in bringing this about. Our mission is to be a leading provider of high quality support, training and care services, and to create opportunities, for people with sight loss, including those with other disabilities; to encourage and facilitate the development of these on a local, regional and national basis by being a model of good practice. Our aim is to do this in a way which enhances the quality of life of those we work with. Volunteer Befrienders – Many of our volunteers make weekly visits to tenants in Wilberforce houses, sometimes just for a chat but often to help with some special interest like sewing, or practical tasks like to read or to help write a letter. Volunteer Mobility Car Driver – As a Volunteer Mobility Car Driver you will collect the mobility car and tenant’s from their homes, and transport them to their chosen destination. This will facilitate independent living for the tenant and greater choice of activity. Volunteer Sensory Session Facilitator – Our sensory sessions are run at our head office in Huntington, York. We have sessions for adults, children and infants with multiple disabilities including sight loss, hearing loss, autism and learning disabilities. If you have an interest and skills relating to a specific activity, such as yoga, cooking and baking, arts and crafts, or music, for example, then get in touch – or we’d love to hear from you if you have new ideas for sessions! Volunteer Event and Fundraising Support – We regularly hold events to raise awareness of and funds for the work that the Trust does around York, Tadcaster and North Yorkshire. We need volunteers to join us at these events to support with the setting up and running of sessions, to be an ambassador for the Trust and engage with the general public, bucket collections, and where possible support with planning and organisation prior to the event itself. We are also keen to hear from you if there are specific activities you’d like to undertake to raise funds for the Trust.